Melissa Snively graduated from the University of Florida and was a member of Florida Blue Key Leadership Honorary. She has worked in the insurance industry for over 20 years and has owned a State Farm Insurance Agency in eastern Hillsborough County since 2001. She employs a high-performing team of insurance and financial services professionals. Professionally, Melissa is very active in the business community. She has served as the Chairman of the Board for the Brandon Chamber of Commerce and is a graduate of Leadership Brandon. She was the recipient of the Women-Owned Small Business of the Year Award and was awarded the 2015 Greater Brandon Community Leadership Award. 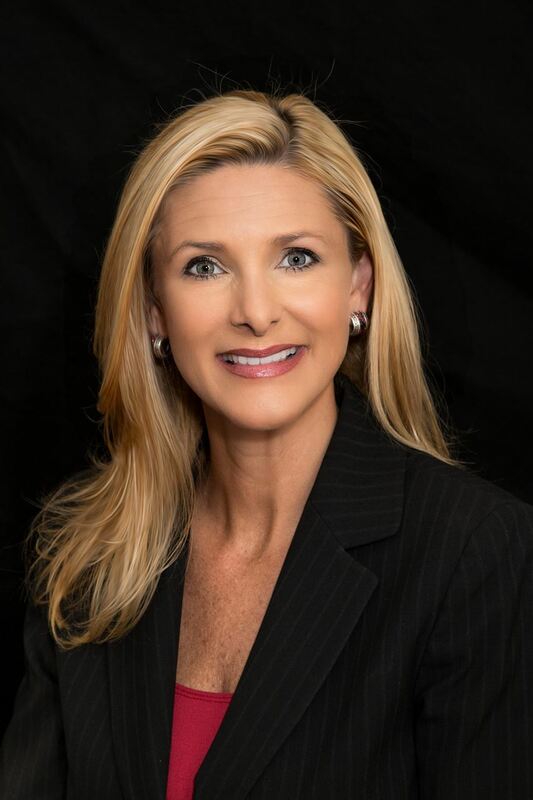 Melissa is Past President of the Tampa Association of Insurance and Financial Advisors (NAIFA-Tampa) and was awarded with the Distinguished Service Award. She currently serves on the NAIFA-Florida board of directors as the Political Committee Chair. Melissa is a graduate of the Tampa Bay Public Leadership Institute and was elected to the Hillsborough County School Board in November 2014. She is one of seven (7) board members responsible for making policy decisions and overseeing a total budget of $3 billion for the 8th largest school district in the U.S. and the county’s largest employer. She serves on the Hillsborough County Council of Governments, the Central Florida School Board Coalition and is a member of the Florida School Board Association. Melissa enjoys being involved in her community and has served many local organizations. She has been a member of the Junior League for 20 years and has served on the boards for The Brandon Community Roundtable, the Brandon Outreach Medical Clinic and currently serves on the board for Brandon Regional Hospital. She is a member of four (4) local PTAs and volunteers weekly as Cub Scout Leader. Melissa is also a graduate and instructor of BSA Wood Badge Scout leadership training and serves on the Tampa Bay BSA Board of Directors. Melissa is a Charter Life Member the UF Alumni Association and Past President of the Tampa Gator Club. She was recently honored by the West Central Florida Girls Scouts as a 2016 “Woman of Distinction” for her community service. She also serves of the board for the historic Tampa Theatre. Rebecca Walser and her national Team help each client in a way that is unlike their CPA, financial advisor, money manager, investment banker, or other lawyer because Rebecca is different… Leveraging her background as an international financial consultant and a licensed tax attorney, Rebecca is uniquely qualified to structure and implement the best financial strategies for her clients in accordance with the holistic plan created by the collaboration between Rebecca and her clients. Rebecca’s clients usually have several advisors; accountants, lawyers, and brokers, among others. “In practicing law, I often found this advice conflicts between professionals and leaves the client confused. Even more common is the lack of communication and coordination between professionals such that a client’s legal documents aren’t aligned with their asset structure or risk management plan.” Rebecca focuses her team around one holistic plan that incorporates the overall goal of maximizing wealth and minimizing taxes, as well as managing risk, education and retirement planning, coordinating legal documents, investor profiling, and the appropriate asset allocations and diversification for such goals. Beyond an integrated plan, Rebecca incorporates sophisticated tax and wealth management strategies, estate distribution & legacy planning, as well as business succession planning. Rebecca is a licensed tax attorney, who has earned an advanced law degree in Federal Taxation from the #1 highest rated tax law program at New York University, NYU, and she is a certified financial planner, CFP®, with over 15 years of financial experience. 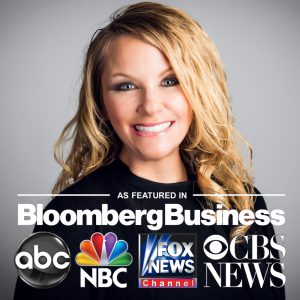 She works with high income professionals and business owners, individuals, and families to develop and implement advanced financial planning and wealth management strategies that maximize wealth, minimize taxes, and manage risk. 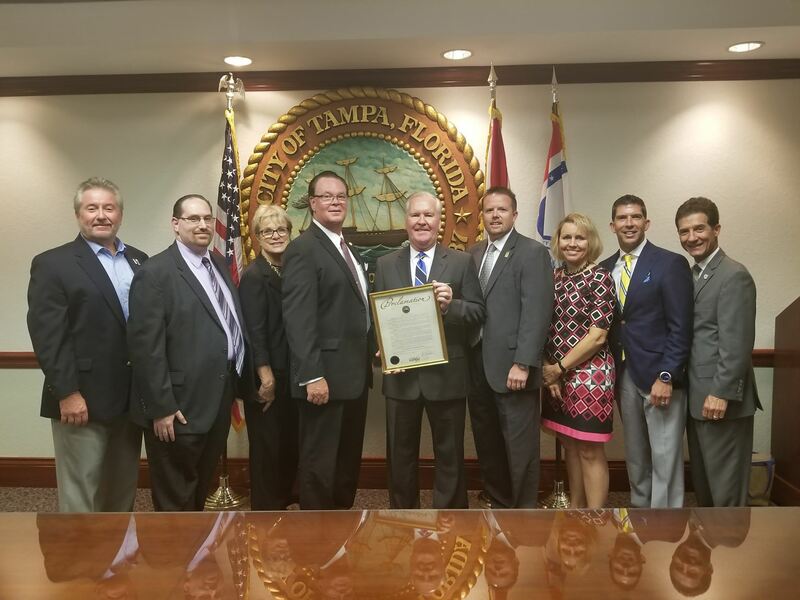 "Thank you to his honor Mayor Buckhorn for arranging to to meet with the National Association of Insurance and Financial Advisors (NAIFA) Tampa delegation on 9/6/17 for the presentation of the proclamation declaring September "Life Insurance Awareness Month". NAIFA members provide a critical service to the community by protecting the futures of families and businesses in the greater Tampa area. We are very please that the Mayor took time from his busy schedule to visit with us, and to recognize the important work of our association." Van Mueller, LUTCF, is a Registered Representative with The Wisconsin Agency of New England Financial Services. January 23, 2017, marks Van’s 44th year as an insurance agent. He is an active member of MDRT having qualified for Court of the Table in 1990 and Top of the Table for the last twenty six years. Van has served as an LUTC moderator in the past and is looking forward to doing so again. He also served as President of the Milwaukee Association of Insurance & Financial Advisors for the 1998-99 year. In the past, Van has served as Membership Chairman for both Milwaukee and the State of Wisconsin. Van also served on the Annuity Advisory Panel, the Middle Income Task Force, the Sales Idea Committee, and the Program Development Committee for MDRT. Van has served two 2-year terms on the Top of the Table board. He served as an appointed NAIFA trustee. Van was awarded the Milwaukee NAIFA Distinguished Service Award for 2003. And in 2010 Van was the proud recipient of the A. Jack Nussbaum Distinguished Service Award for NAIFA – Wisconsin. He has also qualified for the National Sales Achievement Award, the National Quality Award, the Health Insurance Quality Award, and has qualified many times for the National Association of Health Underwriters Leading Producers Round Table. Van was selected by Senior Market Advisor Magazine as the 2010 Advisor of the Year. Van supports many industry organizations. In addition to membership in the National Association of Insurance & Financial Advisors and Million Dollar Round Table, he is also a member of the Society of Financial Service Professionals, an Emissary Contributor to IFAPAC and a Diamond Knight of the Million Dollar Round Table Foundation. Van has spoken to groups around the world, including being a main-platform speaker at MDRT in 1998 in Chicago and the Main Platform Speaker at the 2001 Top of the Table Meeting in Maui, HI. Van was a Main Platform Speaker at the 2003, 2005, 2009, 2014 and 2015. NAIFA Conventions. He was a speaker at MDRT and at the NAIFA Convention for 2006, and again in 2007, 2010 and 2011. He was a main platform speaker for the MDRT Experience in Tokyo, Japan in April of 2008. He has also written many articles for various publications, including the "Close" for Retirement Advisor magazine. Subscribe to Van's monthly newsletter 7 Ideas and Views. Van believes that the next decade will be “The Greatest Time Ever” for Insurance and Financial Service Professionals!!! Annual Banquet will be visited by Representative James W. Grant as our keynote speaker! Representative James W. Grant was elected to the Florida House in 2010 and currently represents northwest Hillsborough and north Pinellas Counties. He is an entrepreneur and attorney with a passion for creating technology solutions to the challenges in an ever-evolving and innovating marketplace. Representative Grant graduated from Jesuit High School, holds a degree in Business Administration from Auburn University. He earned his J.D. from Stetson University College of Law. James currently serves on the Board of Directors for Pepin Academies, the Board of Directors for the Bay Area Charter Foundation, and the Board of Advisors for Sistema Universitario Ana G. Mendez. He also serves on the Board of Directors for General Norman Schwarzkopf’s Children’s Home Sporting Clays Classic charity event and has supported the organization for more than thirteen years. Rep. Grant is a supporter of Ducks Unlimited, a world leader in wetlands conservation, and is an active member in the Tampa Bay 100 Chapter. Additionally, he supports the Christian Embassy and has done mission work through Score International for more than 10 years. Rep. Grant is an active member of the Coastal Conservation Association, National Rifle Association, and Idlewild Baptist Church in Lutz, where he has been a member for more than 15 years. WSJ Article highlights the efforts of our Tampa officers banquet speaker, Rep. James Grant! Here is something from WSJ.com that might interest you! This article from today's WSJ highlights the efforts of our Tampa officers banquet speaker, Rep. Jamie Grant, in regards to the assignment of benefits issue plaguing Florida insurance companies. Those of you who made the trip to Tallahassee this year will remember Grant's Bill HB 1421 from your issues packet. I sure that Rep Grant will have more to say to us on the subject in June, as well as the importance of the continuing dialog NAIFA has with our elected officials. See you June 1st for the update. Barry D. Flagg is the inventor and founder of Veralytic®, Inc., the only patented online publisher of life insurance pricing and performance research and product suitability ratings. Veralytic is the product of his unique background as both the youngest Certified Financial Planner (CFP®) in history schooled in the investment business, as well as a life insurance practitioner consistently ranked in the top 1% of the industry. His experience in both financial product analysis, life insurance sales and marketing, and his success in managing large life insurance portfolios for affluent individuals and growth companies, brings an unparalleled advantage to his presentations. Barry's most popular talk is “New Best Practice Standards for Managing Life Insurance as an Asset”. Included below the Program Overview and Learning Objectives. Program Overview: Life Insurance is often integral to planning for its tax preferences, and is increasingly promoted/considered as an investment asset, but has been opaque and difficult to understand because it hasn’t conformed to Prudent Investor principles broadly understood for other assets. This training will show how to apply to life insurance the same universal decision-making framework already widely-accepted in the financial services business. · Use the same decision-making framework widely-used for other assets also for the prudent selection and proper management of life insurance. · Differentiate between types of life insurance and learn how R.A.T.E. can help determine when to use which product for what client objectives? · Identify life insurance industry practices now considered questionable by financial, insurance and banking industry authorities. 2223 North Westshore Boulevard, Tampa, FL 33607 - DIRECTIONS . Seating limited to the first 40 registrants! Special Thanks to our YAT "4 Under 40" Meeting Sponsors! For more information, please contact NAIFA-Tampa at (813) 501-3165 or email info@naifatampa.org. Per our bylaws, this is the formal announcement of our slate of candidates for the 2017-2018. Please note, elections will be held at our May General Meeting (Thursday, May 18, 2017). If you have any questions, please feel free to direct them to Arielle Giordano, Jeff Chernoff or Jennifer Versaggi. NAIFA-Tampa Cordially invites you to attend our Annual Awards and Installation Banquet! We will open registration soon!